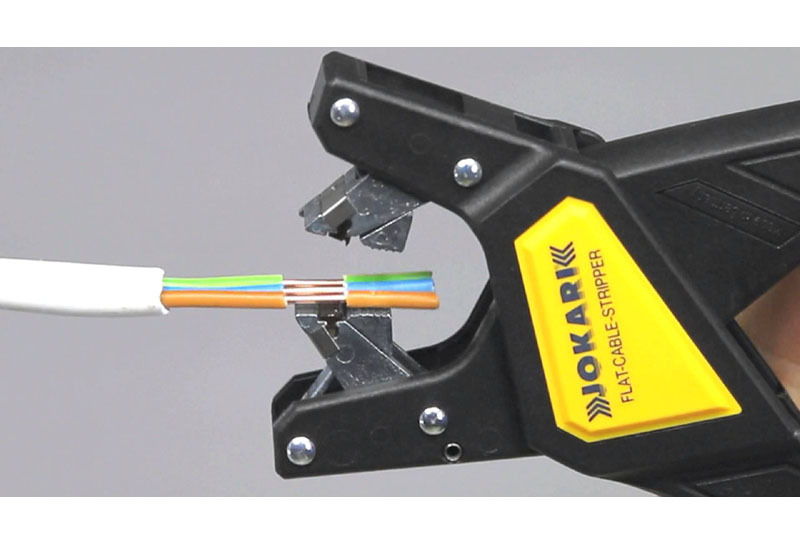 Ronny Wendlandt of RW Electrical Installation reviews the Jokari FKZ wire stripper. What attracted you to the tool in the ﬁrst place? 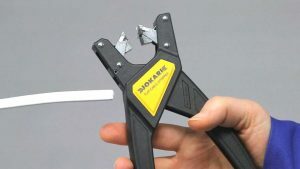 I’ve always been a fan of products that can make my life at work easier so I was keen to have a play with the FKZ wire stripper once I’d read about it in the magazine. What were your ﬁrst impressions of the unit? 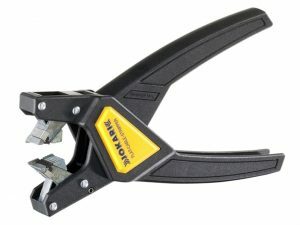 After eagerly unpacking the tool my ﬁrst impressions were that it was a nicely put-together, light weight product with a good grip and a crisp action when operating the wire strippers without any cable inside its jaws. The blades looked sharp and in line, which is always a sign of quality in my eyes. How easy was the tool to use? The overall usability of the Jokari wire stripper is excellent. It’s as simple as inserting the cable end and then lining the cable up with the jaw, before pressing and stripping – voila! Give us some examples of tasks where you made use of the product. I’ve primarily used the wire stripper when installing a large amount of down lighters. The stripper made the job very easy to get a set length of stripped cable and this worked well as it had to be repeated multiple times for the incoming and outgoing cable. Are there any features of the tool that you particularly liked? The time-saving beneﬁts of a product like this is a key feature and it made a very good job of stripping the wires, oﬀering a clean cut on both the outer insulation and the conductor wires. The ergonomic handles and grip are also impressive. Are there any improvements that you would make to the tool? The tooling head could be a little smaller so as to make it easier to get closer and further inside an already installed consumer unit or a metal back box to strip newly installed wires. A side cutter would also make sense as this would reduce the need for changing tools. Would you recommend the tool to other electricians? Yes and yes again! The Jokari FKZ wire stripper is a good, solid tool which makes repetitive installations faster and easier to achieve.